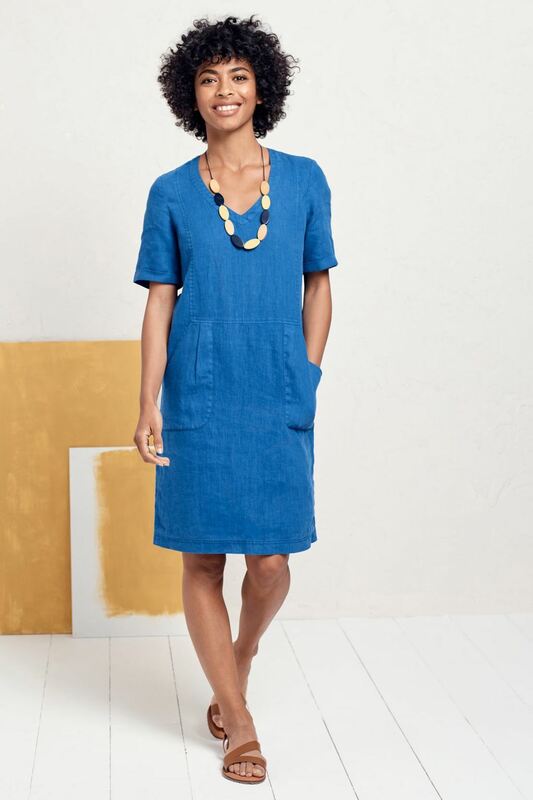 Perfect for long, relaxed summer days, the Sea Glimpse Dress is made from pure linen, garment-dyed for exceptional softness, wonderful drape and a sun-faded look. Sitting just on the knee, it's an easy-to-wear, roomy style with short sleeves and a soft V-neck with flattering collar. It has lovely big pockets on the front and pleat detailing. There are no zips - just pull it on and you're ready to go.